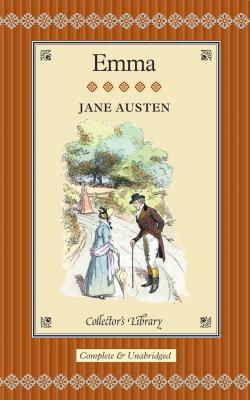 "I am going to take a heroine whom no-one but myself will much like," Jane Austen wrote, but young Emma Woodhouse, in spite of her weaknesses, has charmed generations of readers. Bossy, a little spoilt, and too eager to control other's lives for what she believes is their own good, she creates misunderstandings with every tactic she employs. But when her attempts to match-make go awry, she learns a hard lesson about life, love, and growing up. The world's greatest works of literature are now available in beautiful keepsake volumes. Bound in real cloth, and featuring gilt edges and ribbon markers, these beautifully produced books are a wonderful way to build a handsome library of classic literature. These are the essential novels that belong in every home. They'll transport readers to imaginary worlds and provide excitement, entertainment, and enlightenment for years to come. All of these novels feature attractive illustrations and have an unequalled period feel that will grace the library, the bedside table or bureau.